CNC-ready Sherline Milling Machines - Millhill Supplies Ltd. The cnc-ready package on this Model 5400 mill includes stepper motor mounts on the X, Y and Z axes ready for the installation of your stepper motors and computer control. 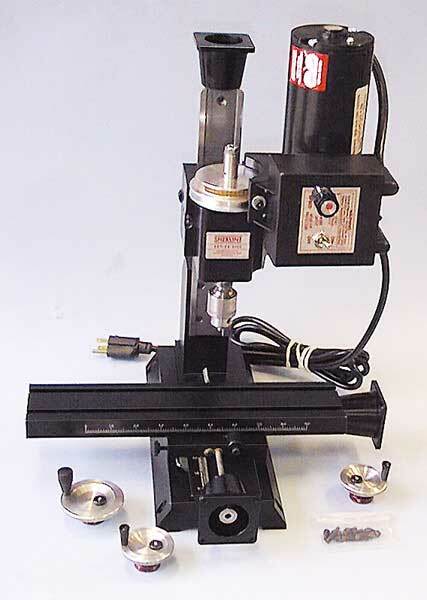 Sherline mills can be retrofitted for CNC-use or they can also be ordered with stepper motor mounts factory installed. Note that Sherline provides only the mounts and couplers. The customer is responsible for completing the system with the purchase of stepper motors, drivers, a computer and software. Some prefer to build their own system from off-the-shelf parts, while some prefer to go with a package from one of our aftermarket suppliers. 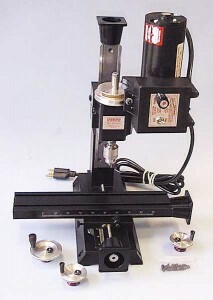 (See our list of CNC SUPPLIERS for details.) The Sherline stepper motor mount and coupler system assures a consistent design that is compatible with the quality of the other Sherline components for a smooth running and accurate CNC system..
Sherline stepper motor mounts are machined from solid aluminum and accept a #23 frame size stepper motor. The motor is attached to the housing and the shaft is connected to the dampened Sherline coupler. A dual-shaft motor can be used. Spare handwheels are provided for installation onto the rear shaft of a dual-shaft motor so that hand control can be maintained if desired.